SaaS stands for "Software as a Service". 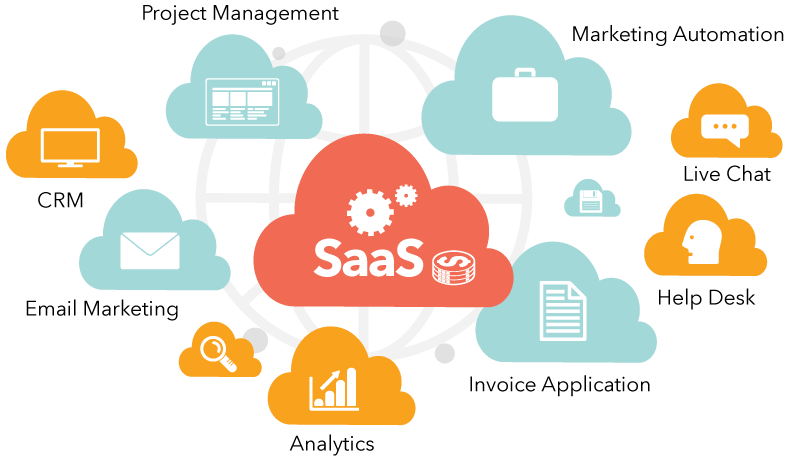 Unfortunately, neither the abbreviated nor the expanded form do much to explain what SaaS actually is. To answer this question, let's consider an analogy. SaaS basically takes the idea of 'paying for electricity on a monthly basis' and applies it to software. In the pre-SaaS era, all companies would maintain their own server rooms and IT staff. Software would be bought in boxes/CDs, which the company's in-house IT staff would install and maintain. In that sense, pre-SaaS software purchase was somewhat similar to setting up your own power plant. With SaaS, your company pays the software vendor on a periodic basis. Most SaaS vendors, including Polydojo, offer monthly and annual subscriptions. The software is maintained entirely by the vendor, removing the need to for in-house server rooms or IT staff. This enables companies to adopt sophisticated software quickly, and at lower costs. The monthly subscription cost of any SaaS offering would undoubtedly be lower than the cost of buying equivalent on-site software. This allows you to turn CapEx (Capital Expenditure) into OpEx (Operational Expenditure.) At the end of the month, if you don't like the software, you can switch to another provider. If you had pre-paid for on-site software that you later disliked, it would be a considerable loss. Many new businesses are choosing not to have an IT team at all. With SaaS, as the software is fully managed by the vendor, there is little need for any in-house IT expertise. All you need is Internet connectivity. Log-on to the providers site, and get to work! Let the vendor worry about hiring IT experts. In the pre-SaaS era, vendors would provide patches for updates and bug-fixes. In-house IT staff would apply each software patch, while trying to ensure that the patch does not interfere with any other software. This was a tedious process and would often lead to crashes. OS upgrades would be an absolute nightmare, as IT staff would struggle to maintain compatibility with all software systems. SaaS makes life considerably simpler. Updates are handled entirely by the vendor, and in most cases, you don't even realize when they happen. Its even possible that your SaaS provider is going through an update right now! And because updates are frictionless, vendors can afford to update more frequently. As your organization grows, it is likely that your software usage will also increase. For example, as you get bigger, your CRM will likely see more users and also more usage per user. With on-site software, it used to be very difficult for IT-teams to manage growing software use. Companies would often buy additional servers and dedicated routing hardware. The cost of scaling on-site software increases exponentially, because multiple software packages from multiple vendors need to be scaled simultaneously and without interference. This inevitably leads to frequent crashes and system-wide outages. SaaS to the rescue. Most SaaS vendors offer a selection of plans, based on customer size. For example, Polydojo currently offers 3 plans, ranging from $39 to $799 per month. As your business grows, you simply subscribe to a higher plan. All the IT aspects of increasing your account's capacity are managed by the vendor. Traditional on-site software vendors are similar to elevator vendors, in the sense that once the sale is closed, their job is largely done. Maybe they'll give you a training manual or have a brief meeting with your IT staff. But that's about it. They've closed the sale, so their job is done. SaaS is different. With SaaS, the vendor needs to close the sale every month! At any time, you are free to cancel your subscription and switch to a competing vendor. For this reason, SaaS vendors invest heavily in onboarding new customers and making sure that they successfully adopt the software. I'm the head of Polydojo's Customer Success team. It is absolutely critical to me that our new customers quickly achieve their first success with our platform. During the free trial, we reach out to you to learn about your needs and evaluate how our platform can best satisfy them. With traditional on-site software, it is quite likely that the vendor's core engineering team is based in a different state or even in a different country. If something goes wrong, can an engineer from the core team fly to you to take a look at your logs and help you fix the error? Probably not. When it comes to SaaS, all logs pertaining to your use of the software may be remotely examined by the vendor's engineering team; and they can fix the error remotely. Once the error is identified and fixed, it would be fixed not only for your account, but for all accounts. Similarly, if someone else had reported the error, you too would benefit from the fix. SaaS applications like Slack, HipChat, Google Docs and Polydojo essentially remove the need for all employees to physically visit your office premises. They can work remotely, from home or from their conference venue. For example, the Maharashtra State Security Corporation (MSSC) recently decided to use Polydojo for hiring new managers. They created a 'Hiring' process, that replicates all the HR and technical checks that were a part of their paper-based hiring setup. One of their recruiters had to attend an out-of-state conference. Nonetheless, he could continue to review (and rank) all applicants by logging into Polydojo via his phone. Today, the likelihood that a company uses two or more SaaS solutions is extremely high. Over time, SaaS vendors learn about other complementary SaaS solutions that are popular among customers. For example, a CRM provider (say XyzCRM) may learn that a particular Project Management tool (say AbcTask) is popular among it's customers. XyzCRM may use AbcTask's API to create an integration that allows users to search for tasks related to a particular deal right from XyzCrm. Integrations considerably increase the value of a SaaS offering. They remove the need for double-entry of data and make your employees' lives easy. Integration platforms like Zapier, IFTTT and Automate.io take SaaS integrations to the next level. They provide a SaaS solution that allows you to integrate other SaaS solutions that you already use. Even if your CRM and Ecommerce platforms don't directly integrate with each other, as long as they both integrate with Zapier, you can use Zapier to integrate them yourself! Ecosystems like the G Suite Marketplace, Salesforce AppExchange and Microsoft Office Store further simply the process of finding and using SaaS integrations. Once a single department in your organization starts using a SaaS platform, other departments will follow suite. Let's say your company starts using a SaaS CRM offering. Your salespeople will now probably be able to record customer conversations from their phone and your IT staff's workload will reduce. Your IT staff, to further decrease load and spending, will eventually convince your HR department to consider a SaaS based Hiring solution. Your HR department, seeing the Sales department's success, will be more than happy to make the switch. Soon, Accounts will switch too. What are your thoughts? Are you using SaaS? In all probability, your company is already using a SaaS solution. I hope this post has gives you a little bit of background on the industry and helps you realize the power, ease and affordability of SaaS platforms. Thanks for reading. Please share your thoughts in the comments box below. If you'd like to write to me privately, I am available at markwaterberry@polydojo.com. I promise to answer all comments and emails.